Pro Edition $10/user/month. Enterprise: $30/user/month. Free 30d trial. 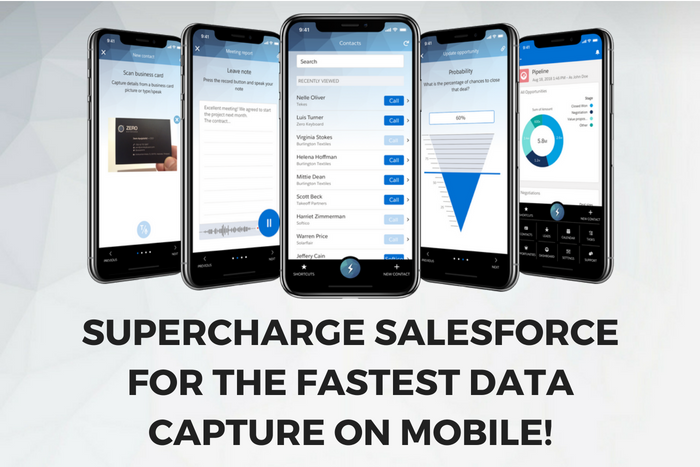 The Zero Keyboard app supercharges Salesforce for the fastest data capture on mobile. Making sales professionals and teams more productive. 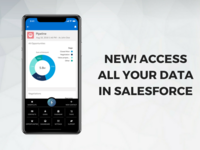 Update Salesforce on-the-go with swipes, scan business cards and dictate memos. Free 30-day trial for iOS & Android. 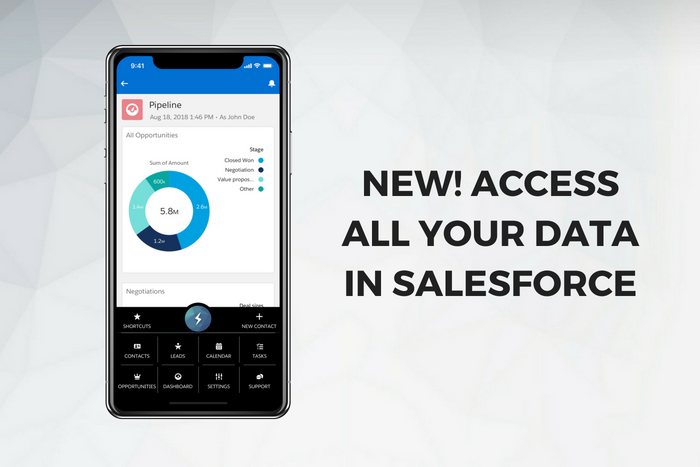 Enterprise Edition offers 100 % customized mobile Salesforce workflows for the entire organization and has built-in all the functionality of Salesforce Mobile (Salesforce1). Zero Keyboard Reviews Recently Reviewed! Cons: Would be good for the search results to use a natural language processor as well - characters have to be exact when searching. The bug that regularly asks for 'trial' details when we are actually in a a paid plan. Overall: Fantastic support from the customer service team, Xavier goes above and beyond to make my experience great. 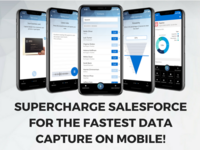 Its a brilliant app for reps on the road using Salesforce, makes appointment management and note taking a complete breeze - I'd be lost without it! Hi there and thank you for the nice review! We are happy to inform that the bug mentioned has been since fixed. Best regards, the Zero Keyboard team. Pros: Easy to use, and also very simple. Fast to use. Cons: Nothing specially, IT Works enough well. Overall: IT helps planning and do My daiily and weekly Works. This is a fantastic product = unbelievable time saver. Pros: I. LOVE. THIS. APP. This saves me so much time it isn't even funny. 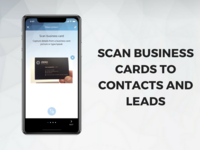 It does a great job of pulling info off of business cards and using the swipe features, data entry is about 10 times faster. That is not an exaggeration. Cons: My only issue with this app is that it is designed to attach activity to contacts. I would really like to use the business card scanner to create new accounts rather than add a contact to an existing account. 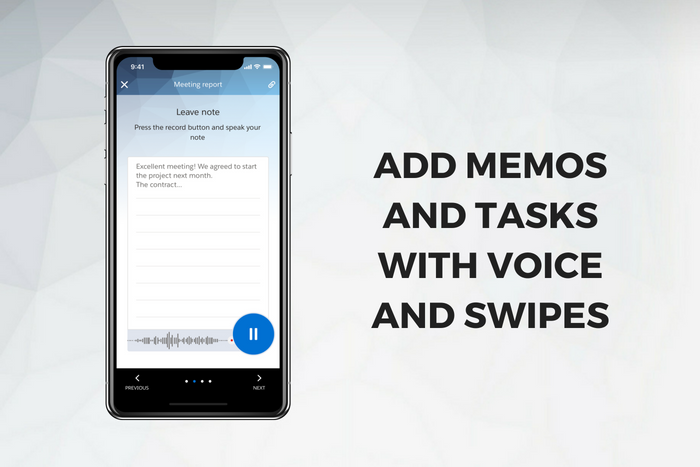 Even without that, this is a fantastic app and saves an unbelievable amount of time - that is on top of being so easy to use, I could train a monkey to do it. Overall: Time savings. Ease of use. Pros: Fast and easy to use at road. Saves a lot of unnecessary reporting time at office. Cons: Accounts need to be ready. Not easy if totally new prospects. Overall: Memos can be created right away after meeting when data is still fresh in my mind. Data is not missed like before when input was done in the evening from the hotel. Data can be read right away from HQ by somebody else. Saves time and eases communication. It's a nice product, but it was inconvenient to download many business cards with high accuracy. Pros: I liked Zero board's simple steps to download business cards and you can download next business card while uploading the previous one. Cons: Data accuracy didn't meet my expectation. I assume this product is one of the best business card scanner applications. However, need to review after downloading business cards was disappointing since I found many typo or input in a wrong field. I wish I could have a function that I can review data entry before uploading to Salesforce production, or any way to review entry information in a spreadsheet so that I can update with appropriate information. It was time consuming to go to the actual contact information page and correct with right information. Overall: I could upload more than 100 business cards in fairly short period of time with photo data of each business card in Salesforce. Hi Akiko and thank you for your review. We are working hard to make the user experience of the business card scanning more accurate in all the languages that are currently supported. We hope to see you back using Zero Keyboard in the future. 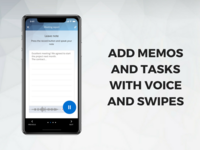 Pros: Swiping and voice really makes it easy to enter data into SF. All my meeting notes and required fields are add with ease. Cons: Entering data on the phone is great but I have a smaller screen size on my iphone 5 Can I use this on my ipad? Overall: much easier to enter data into sales force. i dont have to log into my desktop. Like the ability to review posts after the fact. 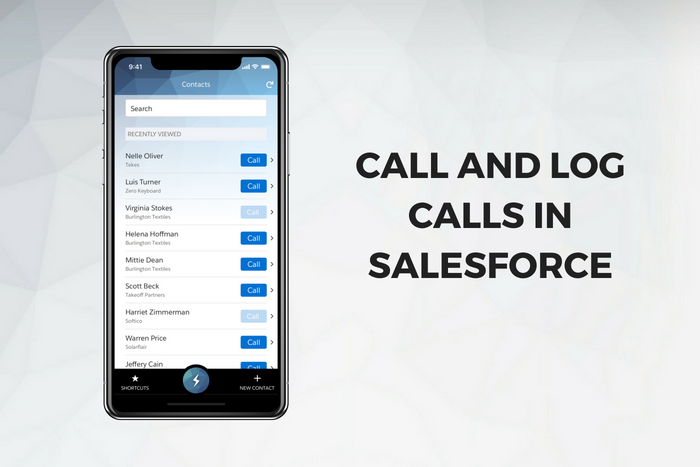 Each call can be posted easily. Pros: The ease of posting notes regarding a sales call or customer related phone call. The reminders to follow up and when with specific goals in mind. Cons: Although it is probably my diction, the voice-placed notes are frequently inaccurate and I have to discern what I meant by the post. Was great product. However I didn't quite find the functionalities that I was looking for. Pros: It worked as it promised. Overall experience was nice. User-interface looked stylish and I didn't find any bugs. Cons: Not that intuitive "training/helping" process. Business card reading can't be perfect and I had many cards that didn't really hit the spot. Overall: Business card reading sometimes and memo-features would've been better than the original SalesForce app. 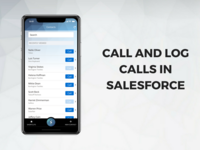 Allow branding of the app so customers can add their colours/ logos if they dont want the "Salesforce look"
Pros: This makes use of SF very easy when on the road. Cons: There were some bugs initially but customer support ficed them fast. Pros: Easy to use and very functional. Uploads are simple and it fairly accurate for difficult business cards. Allows for notes and identifies lead source. Cons: Doesn't allow to adjust fields before uploading. Uploading not confirmed so you do not know if it uploaded correctly. Overall: Helped upload leads quickly from shows directly into SFDC. Save time and money. I'm not using the Zero Keyboard at all. So I cannot give a trustfull answer. Pros: Have access to the Events and Contacts easily. Cons: Creating notes on events, talking to the phone. Sistem don't recognize the words I spell, maybe because of the accent. 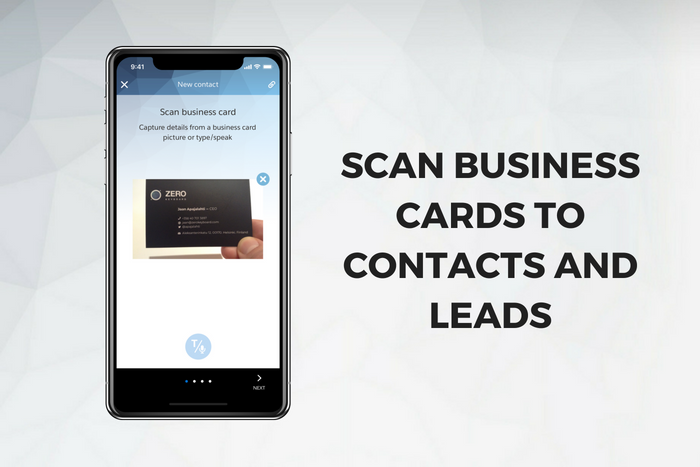 Pros: Capturing leads on mobile has never been easier - and I love the image-to-text recognition feature (so I could just scan a business card to get all the needed info). Cons: Could sync correctly with my Salesforce profile.